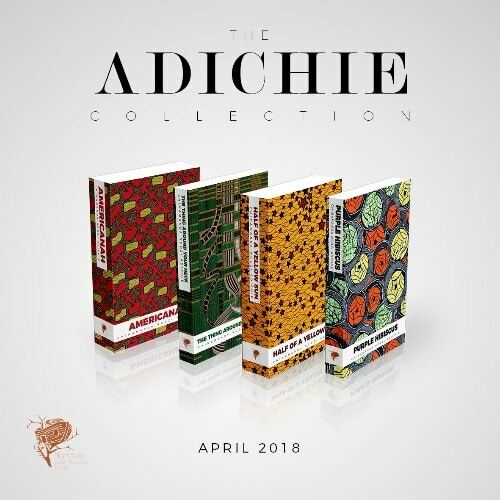 Narrative Landscape Press presents the fiction of Chimamanda Ngozi Adichie. 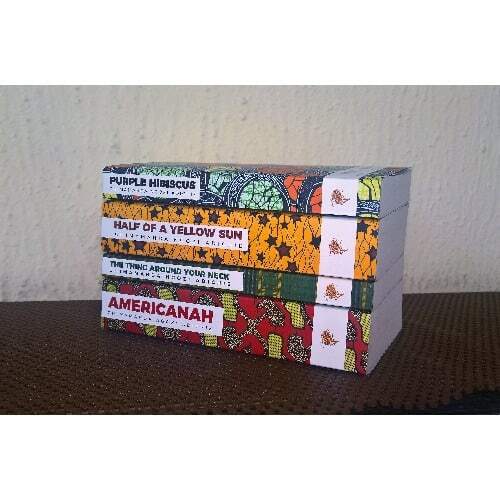 A package of 4 books: the novels, Purple Hibiscus, Half of a Yellow Sun, and Americanah and the short story collection, The Thing Around Your Neck. 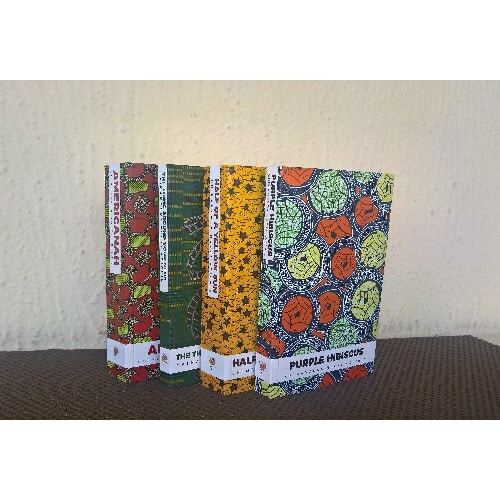 These new editions were designed in collaboration with Vlisco, the wax print textile company.